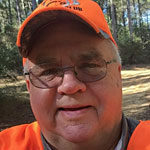 The crappie spawn is mostly over by early April in most areas, including Lake D’Arbonne at Farmerville. But some fish spawn out a little deeper and actually hang around all this month on the underwater humps on the 16,000 acre reservoir. That’s where famous duck hunter and crappie fisherman John Godwin likes to target them. 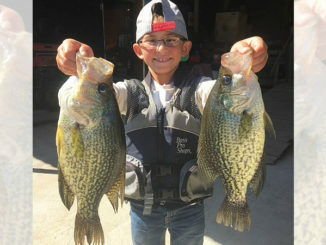 “I love fishing the humps this month because there are still a lot of crappie coming up on them to spawn. The humps act like magnets to crappie this time of year. Some fish spawn there and it isn’t unusual to catch big females off the humps. But the big males will stay there guarding the nests on up into the month. 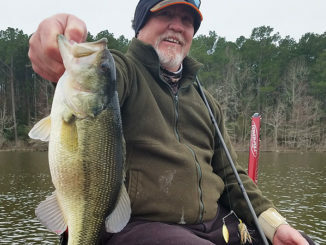 Godwin’s favorite approach to catching them is to long line across and around the humps with a 1/32-ounce Fin Spin lure going about one mile an hour. Long lining is like spider rigging, only you put the lures out of the back of the boat and troll with multiple lines. The keys are first, finding some fish. The best way to do that is locate the flats and the humps with your electronics. Second, make sure you know where your bait is and that it is at the right depth. A good rule of thumb is to cast the bait out about 40-50 feet behind the boat, engage your reel and put it in a rod holder with the rod up at about a 45-60 degree angle, keeping your eye on the rod tip for a “thump”. Godwin’s favorite colors are the Mermaid color (which is like bluegrass) black and chartreuse. 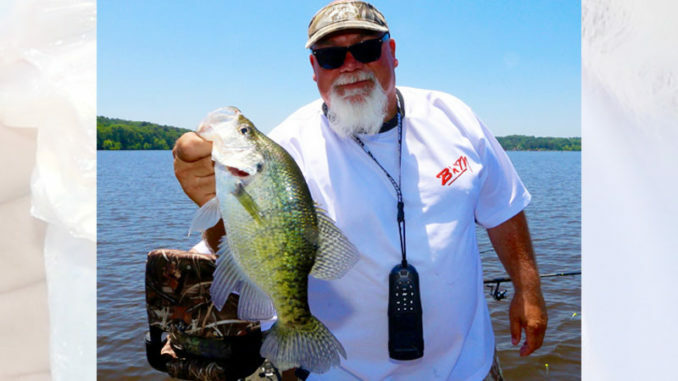 The new Pro Series Crappie Magnet is just coming on the market, but Godwin says the prototype of it has been hard to beat. 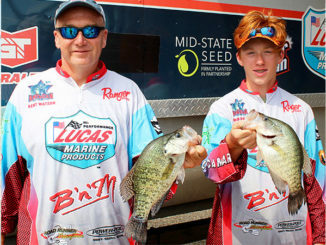 The new Pro Series Crappie Magnet is going to be a hot bait this month, Godwin says. There are still some good fish on the deeper trees in D’Arbonne this time of year. They are males, still guarding the nests, but they are very active and easy to catch if you put your bait right on the side of the tree, Godwin says.